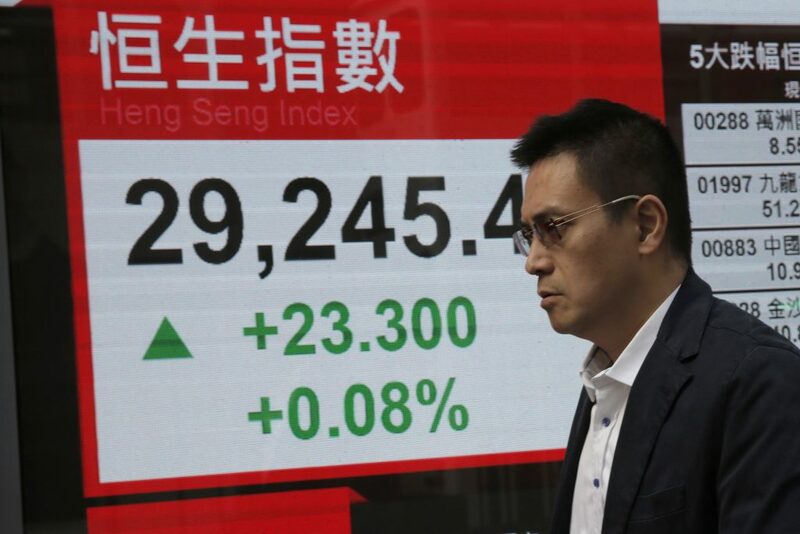 MSCI’s broadest index of Asia-Pacific shares outside Japan climbed 1.3 percent, poised for a third session of gains. South Korea rose 1 percent while Australia’s main index added 0.7 percent, boosted by mining shares on news that Australia could be exempt from new U.S. trade tariffs on steel and aluminium imports. E-Mini futures for the S&P 500 put on another 0.3 percent. Japan’s Nikkei jumped 1.2 percent, showing little immediate reaction as Prime Minister Shinzo Abe came under renewed fire over suspicions of cronyism involving the sale of state-owned land. Inflation worries faded on Friday after U.S. data showed nonfarm payrolls jumped by 313,000 jobs last month, but annual growth in average hourly earnings slowed to 2.6 percent after a spike in January. The pullback in wages tempered speculation that the Federal Reserve would project four rate hikes – or dot plots – at its policy meeting next week, instead of the current three. “The release threaded the stock needle perfectly, exhibiting strong overall net job adds alongside an increase in the participation rate and tepid wages suggesting labor demand is being met by new entrants into the workforce,” said analysts at JPMorgan in a note. “In reality though the market is probably reading too much into a single jobs report,” they cautioned. For now, Wall Street was happy to take the data at face value and the Dow jumped 1.77 percent, while the S&P 500 gained 1.74 percent and the Nasdaq 1.79 percent. On the week, the S&P rose 3.5 percent, the Dow 3.25 percent and Nasdaq 4.2 percent. The jobs news likewise lifted riskier currencies, including the Mexican peso and Canadian and Australian dollars, while weighing on the safe-haven yen. Those cross currents left the U.S. dollar a shade lower against a basket of currencies at 89.973. The euro was last up a fraction at $1.2323. The dollar edged down on the yen to 106.38, having bounced 0.5 percent on Friday. Investors had trimmed holdings of yen last week on news that President Donald Trump was prepared to meet with North Korea’s Kim Jong Un, a potential breakthrough in nuclear tensions in the region. U.S. officials on Sunday defended Trump’s decision, saying the move was not just for show and not a gift to Pyongyang. “Now the U.S. is back to goldilocks at least for now, the tariffs are less severe, and Kim and Trump are to meet,” said Shane Oliver, Sydney-based chief economist at AMP. The mix of brisk U.S. economic growth and restrained inflation was a positive one for most commodities. Spot gold was steady on Monday at $1,323.61 an ounce.